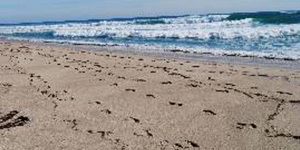 The Coastal Studies Lab at FAU supports field and laboratory research focusing on coastal geology, geomorphology, and sedimentology. The lab is equipped with state-of-the-art surveying equipment, including a high-accuracy (sub-centimeter) Real-Time Kinematic Global Positioning System (RTK GPS) and a rugged electronic total station, as well as sediment analyses equipment for textural and compositional assessments. 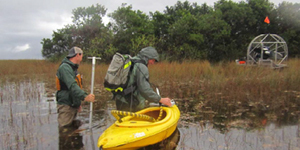 The Department of Geosciences Environmental Geophysics Labat FAU focuses on near-surface hydrogeophysical methods to investigate a wide array of environmental issues at both the laboratory and field scales, particularly in the Everglades. Projects range from limestone and peat studies in the Everglades and northern peatlands abroad to stratigraphic and archaeological applications. The Water Analysis Lab (WAL) is a core facility at FAU. Its mission is to provide high-quality analytical services to support environmental research done by the FAU community and their collaborators. Additionally, the lab places a strong emphasis on providing education and research opportunities for both undergraduate and graduate students. The WAL is equipped with state-of-the-art instrumentation for the determination of nutrients, major ions, metals, and stable isotopes of water. 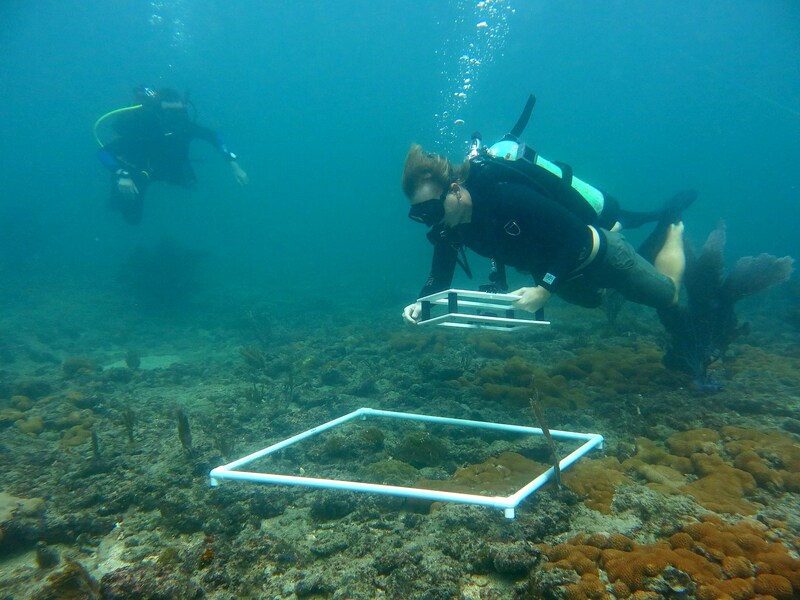 This project was funded by FAU's Technology Fee Program with the aim of bringing the field into the classroom and taking the classroom into the field. 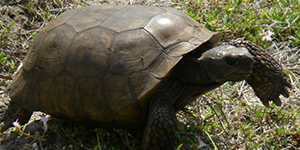 We currently maintain three remote environmental monitoring sites in different native habitats on the ecological preserve on FAU's Boca Raton campus. 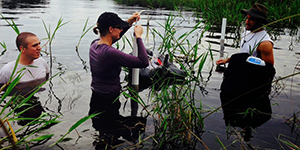 The monitoring sites are used for teaching in the field as well as undergraduate and graduate student research. The Environmental Change Lab at FAU studies human-environment interaction and environmental change across the Holocene. The lab uses fieldwork and laboratory methods to reconstruct environmental and climate histories that serve to inform the present. The lab also has projects that model future and past environments. The Paleoenvironmental Research Lab at FAU Department of Geosciences is dedicated to studies of paleoclimate, paleobiology, and ancient depositional environments, based on the sediment record and fossil archives. Our main goal is to understand changes in Earth’s past climate, the evolution of life, and biodiversity in order to be able to predict and model future changes. 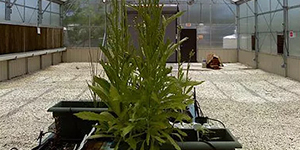 The Ethnobotany and conservation lab at FAU focus on how cultures throughout the globe use plants and how these customs translate into conservation strategies. Emphasis is on understanding cultural ecological knowledge. Research ecosystems include rainforests, savannas, and mountain regions throughout the world. The Center for GIS (CGIS) at FAU focuses on the application of state-of-art geospatial technologies in the coastal and urban environment to understand the modification of coastal landscape from long-term climate change, sea level rise, and short-term storms. We use multiple GIS and remote sensing data collected from lidar, drone, aerial photography, and satellites to investigate vegetation composition, abundance, and change in the Everglades. We develop novel machine learning algorithms and data fusion techniques to improve wetland vegetation classification, water quality modeling, storm evolution, biomass modeling, etc. We maintain GIS and RS software licenses including ArcGIS, ENVI, Erdas Imagine, eCognition, and MATLAB. We also offer consultation service to GIS and RS projects.